The Minister of State (IC), for AYUSH, Shri Shripad Yesso Naik laid the foundation stone for Central Research Institute (CRI) in Jaipur on 22nd January 2018. 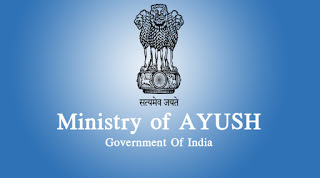 This will be the third CRI under the aegis of Central Council for Research in Homoeopathy (CCRH), an autonomous body of Ministry of AYUSH for undertaking scientific research in Homoeopathy, with 23 institutes across the country. In his address during the stone laying ceremony, Sh. Naik said that Ministry of AYUSH is determined towards a focused infrastructural push to Homoeopathy and other systems of AYUSH. He further said that strengthening of infrastructure of research institutes meant more quality research, and therefore, more evidence-based information on Homoeopathy. With this aim, homoeopathy research institutes at Shimla in Himachal Pradesh, Lucknow in UP and Siligudi in West Bengal are in the pipeline the Minister disclosed. The Minister complimented the state of Rajasthan for being the leading state in the field of Homoeopathic education. He further hoped that Rajasthan will soon be leading in terms of homoeopathy research too. The institute is also contributing to the Swasthya Rakshan Program at five adopted villages i.e. Chharsa, Kumbhawas, Sakatpura, Khoraladkhani, Hanutpura. Under National Health Mission, 19 villages under Amber block are being catered to for the program “Healthy Teething in Children through Homoeopathy”. On this occasion, Shri Vaidye Rajesh Kotecha, Secretary, Ministry of AYUSH, also expressed his solidarity towards further development of homoeopathy. Dr. Girendra Pal, Project officer RRI (H), Jaipur and Dr. Raj Kumar Manchanda, Director General CCRH, Dr. S. Bhuvaneswari, Research Officer(H), Scientist - 4, Dr. J.D. Daryani, Chairperson Drug Proving Committee, CCRH, Prof. C.B. Nayak, Vice Chancellor, Homoeopathy University were also present on this occasion.